Are Dermal Fillers the answer to your Acne Scars? Your acne might have disappeared, but the scars that it has left behind do need attention. You might have pits or depressions in your skin that come in way of your skin being smooth. Sometimes, the scars are also pigmented, giving you another set of woes, despite the acne clearing up. But ladies, there is no reason to worry as there are many treatments available to treat acne scars, one of the most effective of them being dermal fillers. 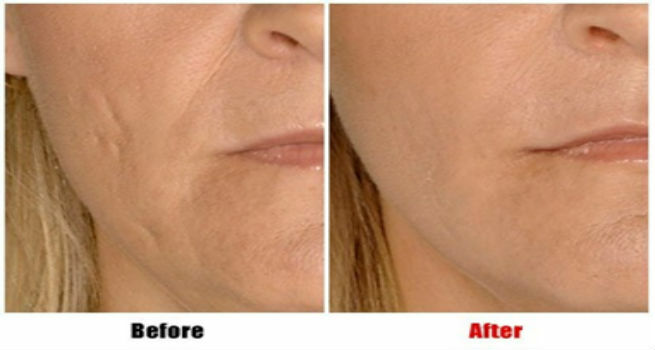 Dermal fillers fill your skin with soft tissue, causing them to instantly plump up. That way, any indentations in your skin are smoothed out. There are many substances that can be used to make the filling. Let us see what they are. Fat: Your own fat is harvested and injected back into your skin. Since not all fat cells used for the filling will survive and thrive, the doctor would over-fill the area under treatment. You might have a bump for a few days but it will even out eventually giving you smooth skin. Hyaluronic acid: This is another natural substance present in your connective tissue. However, it is not harvested. Juvederm, Hylaform and Prevelle are some of the brands that manufacture hyaluronic acid. Collagen: This is the natural substance that causes the elasticity and suppleness of the skin. Cosmoderm, Zyplast, Zyderm are some of the brands whose collagen is used as filler. It can either be extracted from humans or from cows. Dermal fillers can work magic in filling up acne scars. However, they only work on atrophic and rolling scars. The treatment is not for you if you have ice pick scars. One ml of a dermal filler can cost $750-800. However, the amount that you need would be prescribed by your doctor depending on the extent of filling required. The treatment as such does not take too long. Your face will be marked to finalize the strategic points where the filling needs to be done to achieve the desired results. The sites where you will be injected are cleaned with an antibacterial liquid and you are put on topical anesthesia to numb the regions. 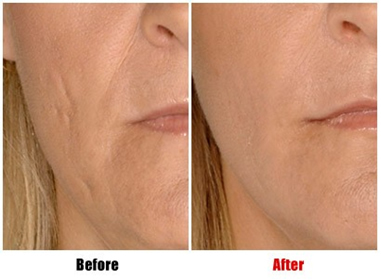 Injections with the dermal filler are injected in the decided spots. The markings are washed and an ice pack is applied on the face. You might go back to your normal routine after this. If your fat has been used as a filler, then you would have the overfilled look for a few days until the fat settles down. You can relapse into having acne as a result of some reaction to the treatment. Itching or redness at the injection site may occur. If not done correctly, it can cause asymmetry in the face shape. The dermal fillers used for the filling are all temporary, with their effect lasting for a maximum of 18 months and a minimum of 4 months. However, in this period, you can enjoy smooth skin without the need to take any extra care for it. If you want to get rid of your acne scars so bad, then yes. It is a generally safe solution for filling up scars. It can also plump up your face and delay the appearance of wrinkles. Remember to factor in the recurring cost once the effect of one filling fades off. Also, as always, go to a qualified practitioner to get the filling done.